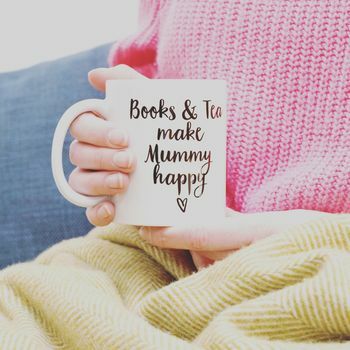 tea, coffee or another drink? For the avid book reader, snuggling up on the sofa with a good book and a warm drink is bliss. 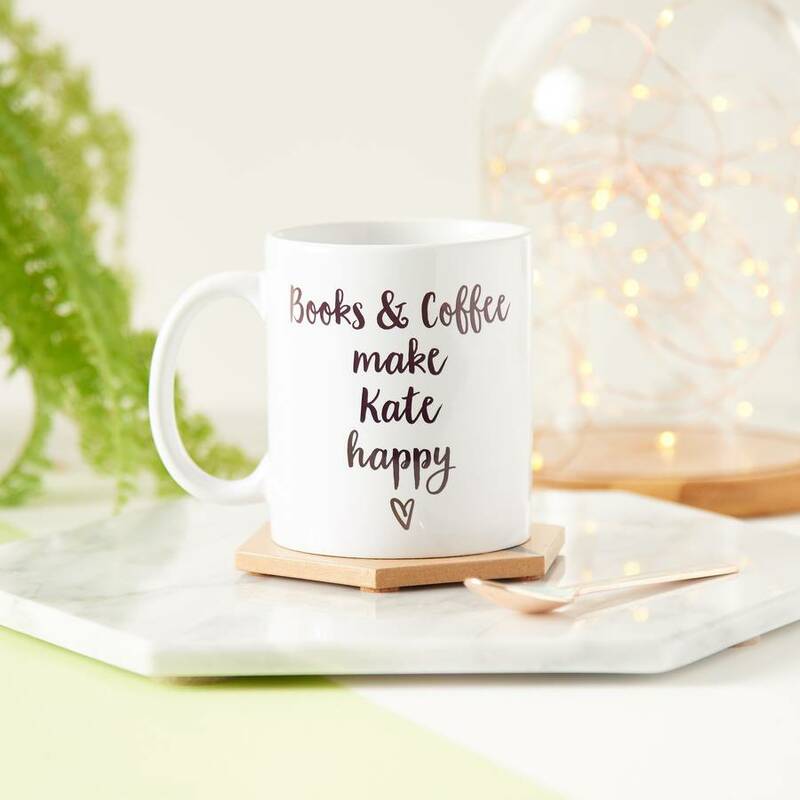 It’s what lazy days were meant for, and this mug is the perfect accessory for such an occasion. This is the ideal birthday, anniversary or Christmas gift for anyone who likes to while away their days nose-deep in a novel. 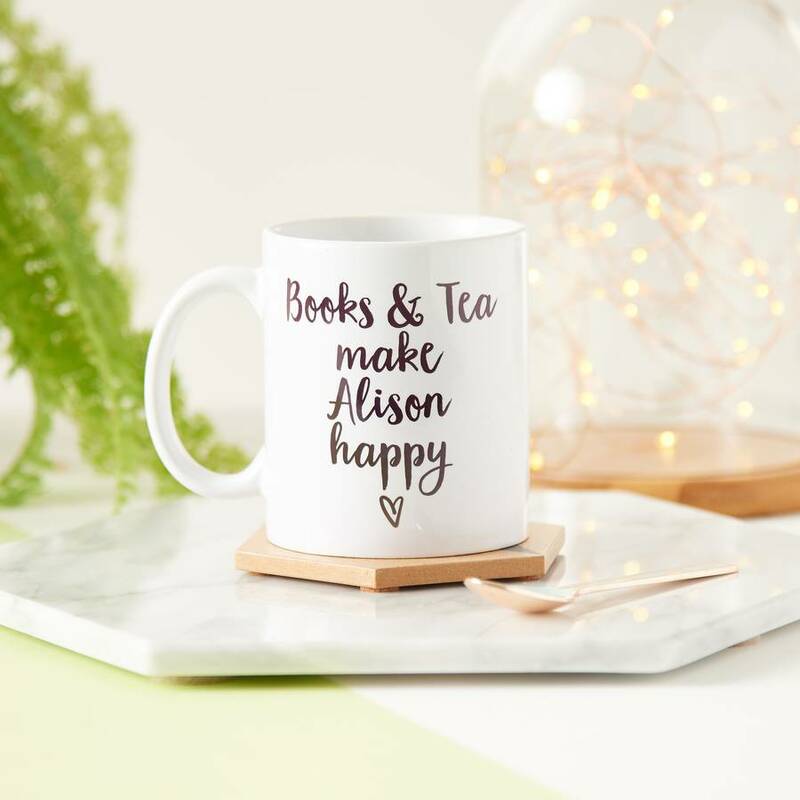 As well as the description on the front, which can be edited to include the recipient’s name and favourite drink, you can add another message on the back, to really make the mug a unique and thoughtful present. 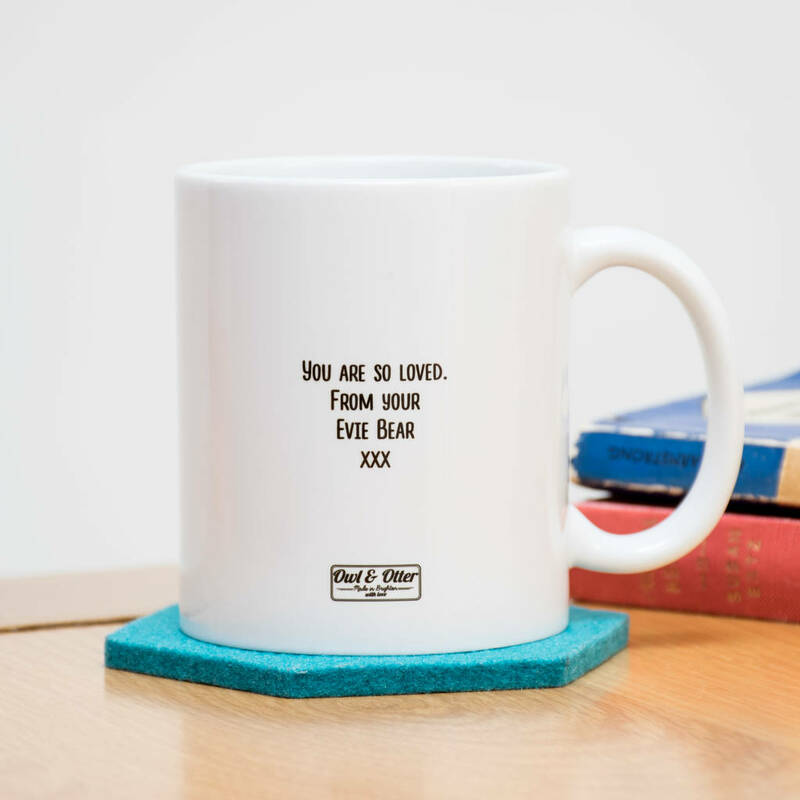 Each stylish ceramic mug is created at our Brighton studio, where we carefully swaddle them in bubble wrap and place them in boxes to ensure they arrive safely at their destination. White ceramic mug with a handle and all our mugs are dishwasher proof. This product is dispatched to you by Owl & Otter.